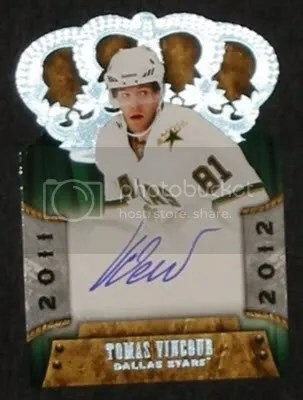 Congrats to Karl Iverson on being the lucky winner of the Tomas Vincour 11-12 Crown Royale RC Auto. Once Karl Iverson sends me his mailing address I will ship this card ASAP. Thanks!